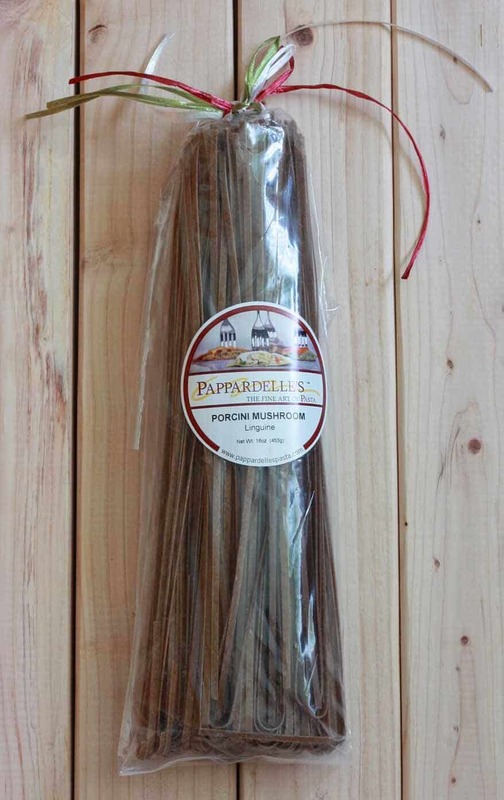 I received some pasta from Pappardelle’s for review. All opinions are entirely my own. In general, I’ve become pretty tired of store-bought pasta. Do you feel the same? Just a little bit jaded? Even the “flavored” ones lack flavor. Either they don’t add enough of the flavoring to begin with – be it tomato, roasted red pepper, spinach, or whatever – and simply doctor it up with some natural coloring (red, green, etc) to make you think it’s full of some yummy flavor, or the pasta just sat around too long in the manufacturer’s warehouse before being shipped off to the stores and so much of the flavor dissipated. Sure, it’s still nice to have “colored” pasta just for visual variety sake, but I would really love to bite into some roasted red bell pepper pasta that actually tastes like roasted red bell pepper. Just for example. I wondered why I had never heard of them before, the passionate pasta lover that I am. Then I read their homepage and realized why. They’ve traditionally only supplied upscale restaurants, hotels and resorts with their fine goods. 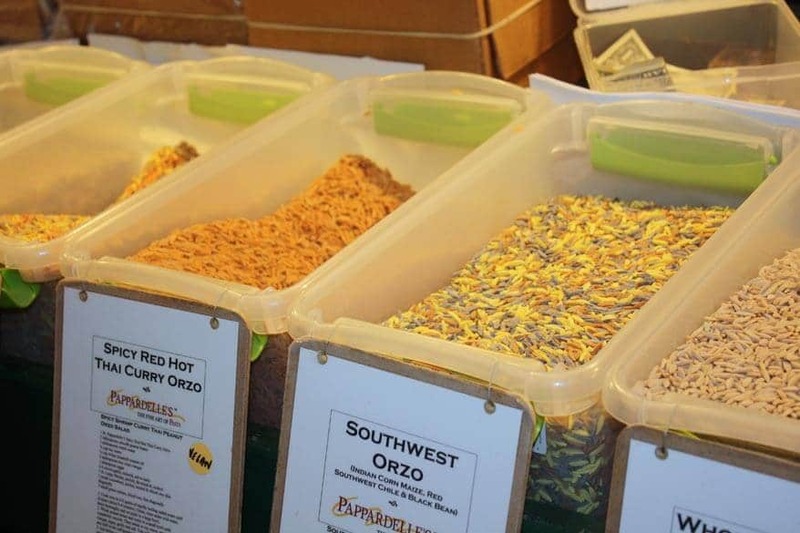 But now there are various locations throughout the U.S., primarily farmer’s markets, where their pastas can be purchased, and of course their products can be purchased on their website as well. 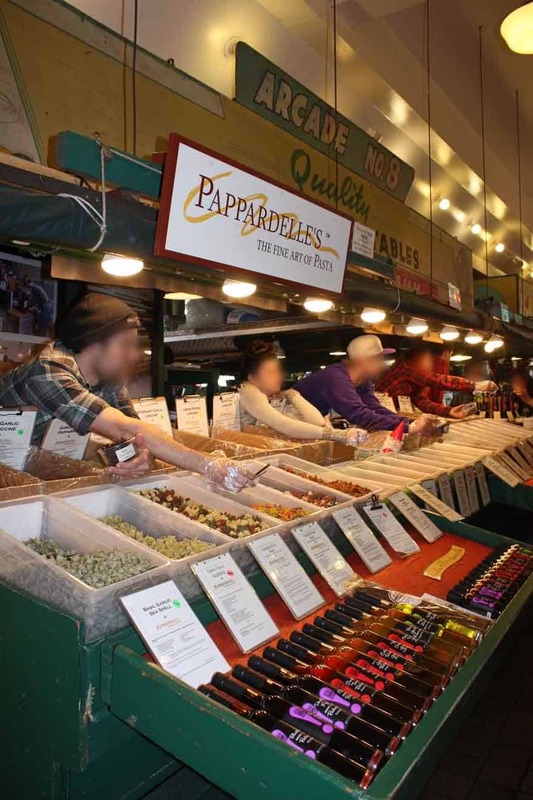 I also discovered that Pappardelle’s has a stand right up the freeway from us at Seattle’s Pike Place Market! So we went to check them out. Come join me on a little visual tour. They had a full array of flavored oils and vinegars and crusty bread for sampling. Did I sample? You bet I did. Delicious! So yes, I try to be couth when it comes to sampling. I don’t know if they had their full selection of 100 different varieties, but they sure had a lot! This is just one side of the stall. The selection was seemingly endless. I wanted to take some of everything home with me! Good thing my husband was with me as the voice of reason and to pull me down from the pasta clouds. I love orzo. They have several flavor varieties. The pasta people were giving out samples of pasta. The thought of chewing on hard, crackly raw pasta didn’t exactly appeal to me, but I tried some anyway. And guess what? I could taste the flavors! Ah, Papparadelle’s! 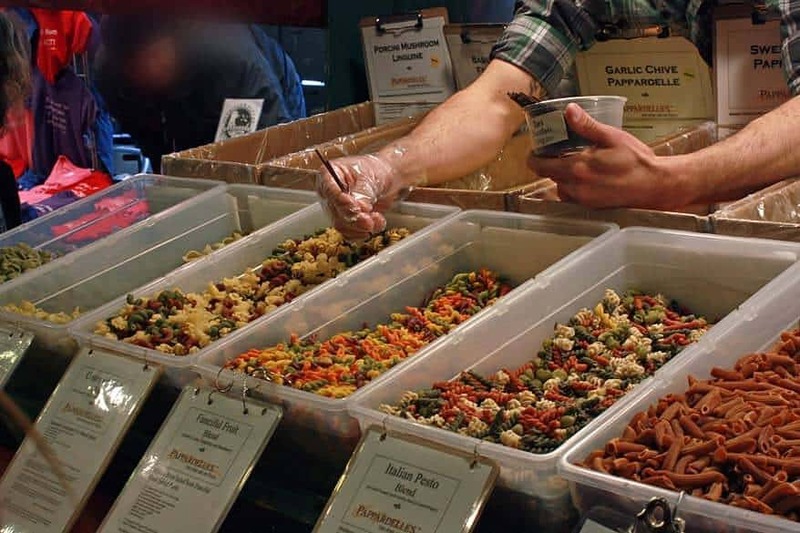 From now on when I go to Pike Place Market this is one stall I won’t pass by without making a purchase or two…or three. Today’s dish features Pappardelle’s Porcini Mushroom Linguine. Why that one? Well, you already know how I feel about porcini mushrooms. This is the first of Pappardelle’s pasta that I’ve tried so far and yes – I could taste the porcini! Score! It wasn’t overpowering, nor would I want it to be. But it was a nice subtle flavor and the cooked pasta had the perfect texture. 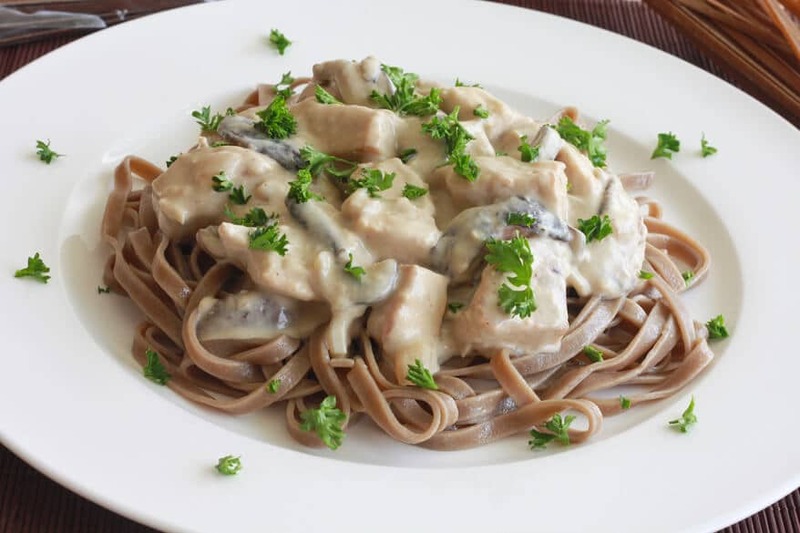 This creamy chicken sauce of shiitake mushrooms and gorgonzola pairs beautifully with the porcini pasta. Note: I am not being paid or otherwise compensated for this post. Pappardelle’s gave me some samples to try and I am sharing my opinion, which is entirely my own, with you. 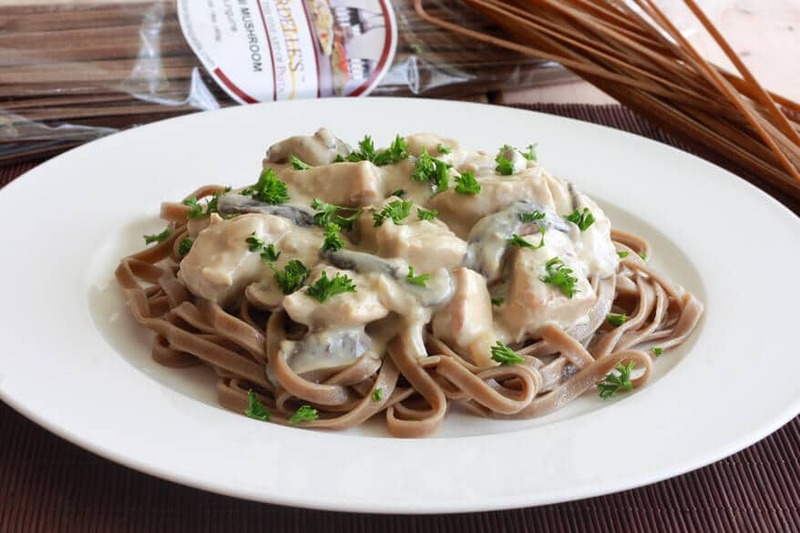 Shiitake, porcini and pasta lovers – you’ll also want to check out my Creamy Fettuccine with Shiitake and Porcini! 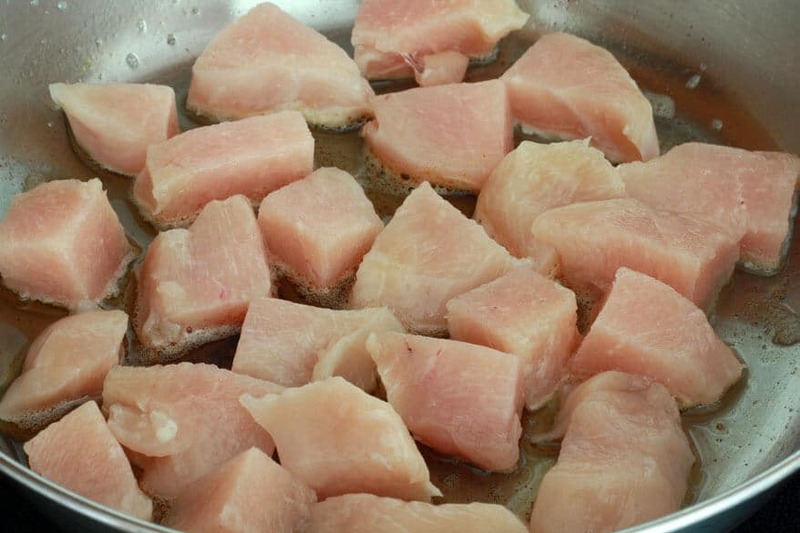 Now, let’s get started on this yummy-licious recipe! 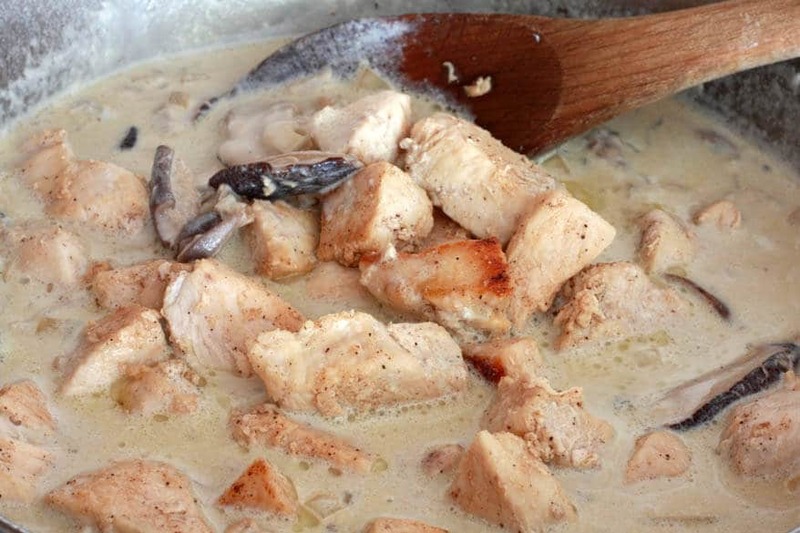 Melt the butter and olive oil in a skillet and brown the chicken. Melt the remaining butter in the skillet, add the shiitake mushrooms and saute for about 5 minutes. Add the onions and saute another 3 minutes. 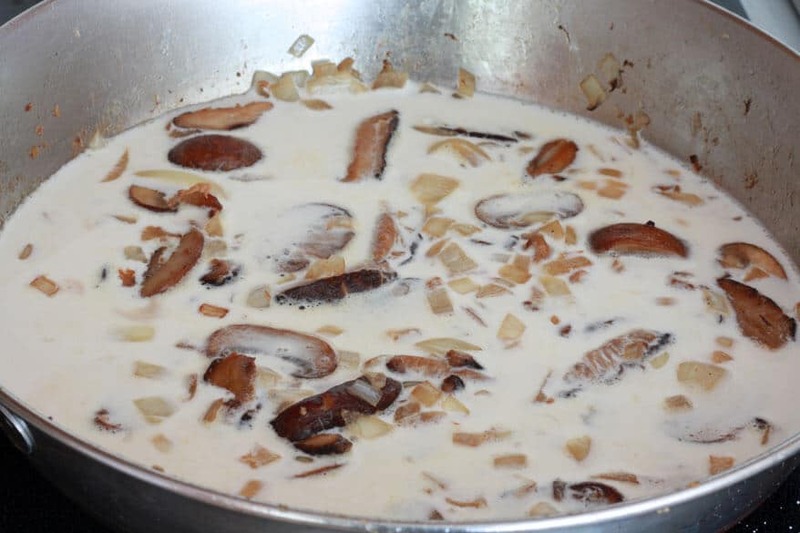 Reduce the heat and stir in the gorgonzola. Return the chicken to the sauce and heat through. Portion out the cooked pasta on four plates and divide the sauce on top of the pasta. Melt one tablespoon of the butter and the olive oil in a skillet over medium high heat. 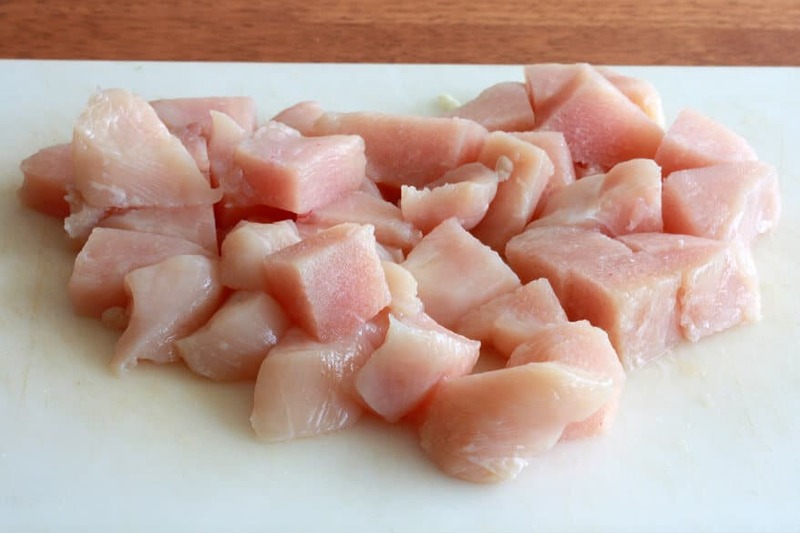 Add chicken and cook until lightly browned, about 12 minutes, seasoning with salt and pepper. Set the chicken aside. Melt remaining two tablespoons butter in the same skillet over medium high heat. 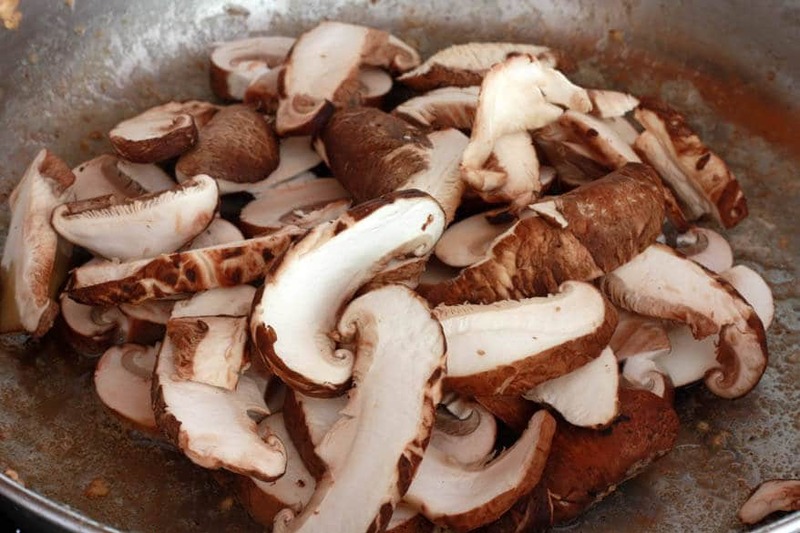 Add the shiitake mushrooms and saute for about 5 minutes. 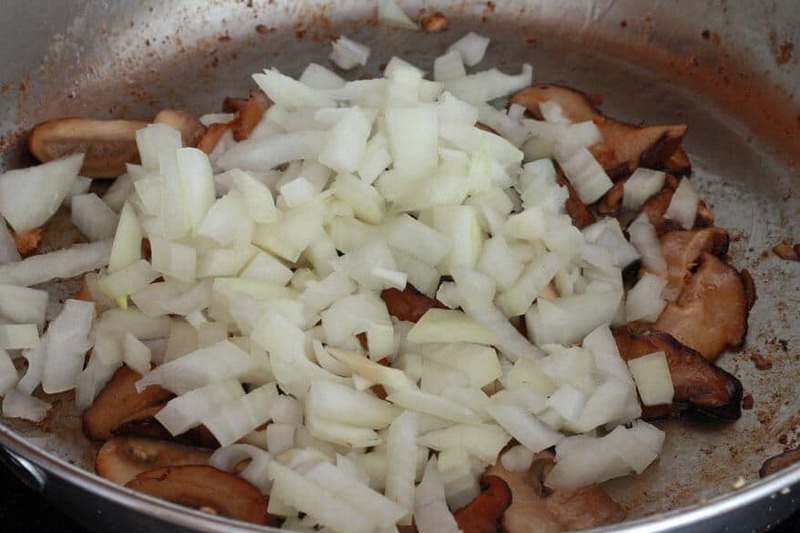 Add the onions and cook for another 3 minutes. Add cream and bring to a boil for about a minute, stirring regularly. 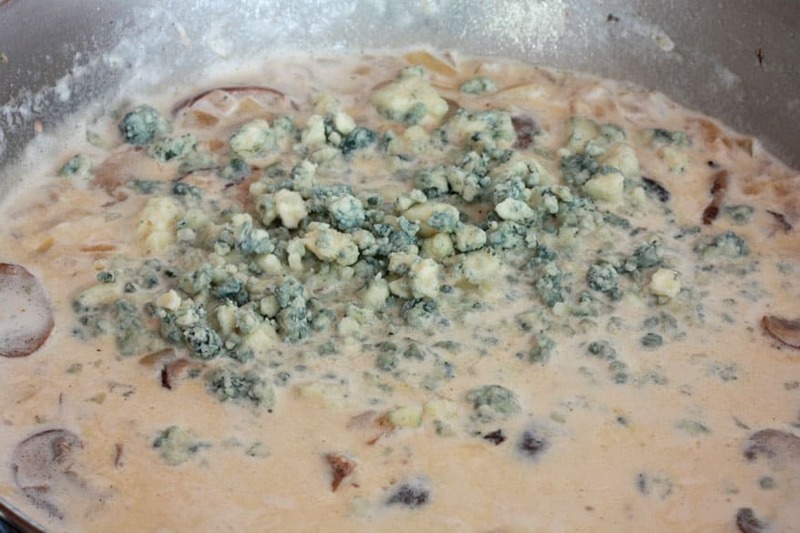 Reduce heat to medium and stir in Gorgonzola. 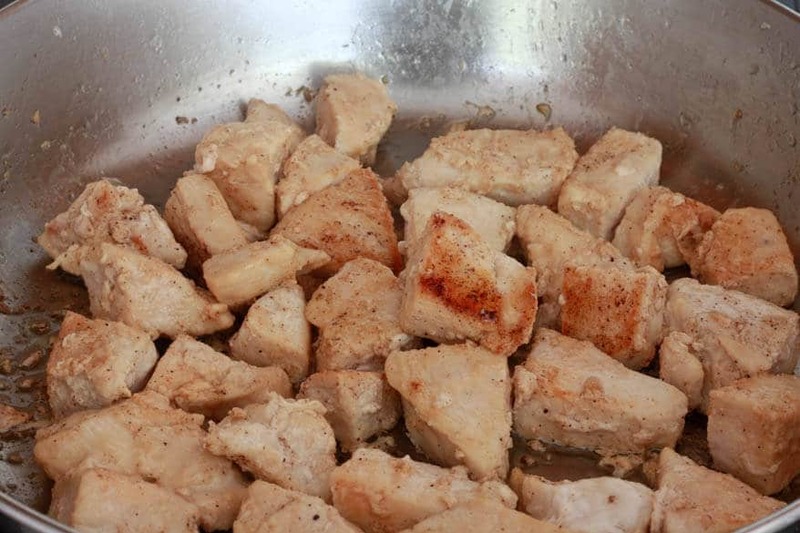 Return the chicken to the skillet, stir to combine, and heat through. Meanwhile, cook pasta in a pot of rapidly boiling salted water until al dente (about 8-10 minutes). Drain well and rinse with warm water. Serve the sauce over individual plates of pasta with Parmesan cheese and parsley, if desired. Looks very interesting, I too remember the days of pride in manufacturing. I miss the small businesses that took pride in ownership. Not producing for the masses. I agree. There is something to say for the quality and detail that often goes into products that are crafted by small businesses. Thank YOU, Shannon, for the compliment and for visiting! Oh my yummm! As a mushroom lover, this just couldn’t look ANY more scrumptious! Like you, I just stopped buying “flavored” pastas because there was no flavor. 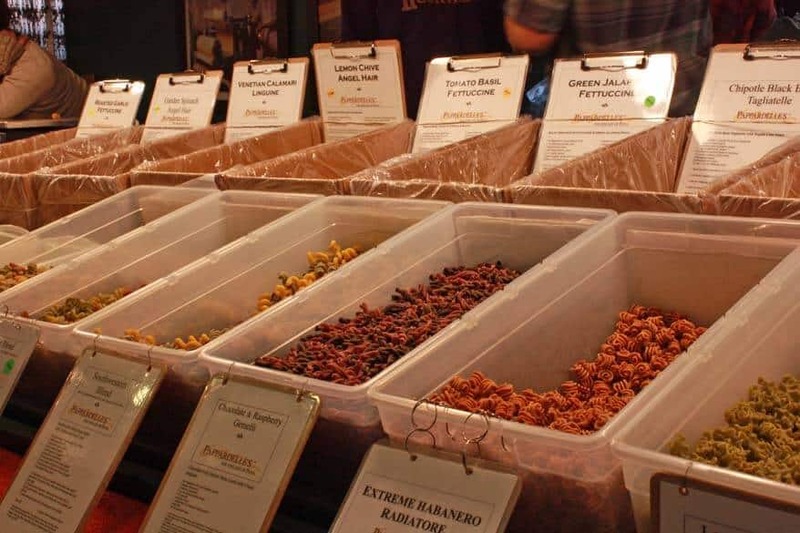 I would love to finally taste the tastes, especially the porcini! 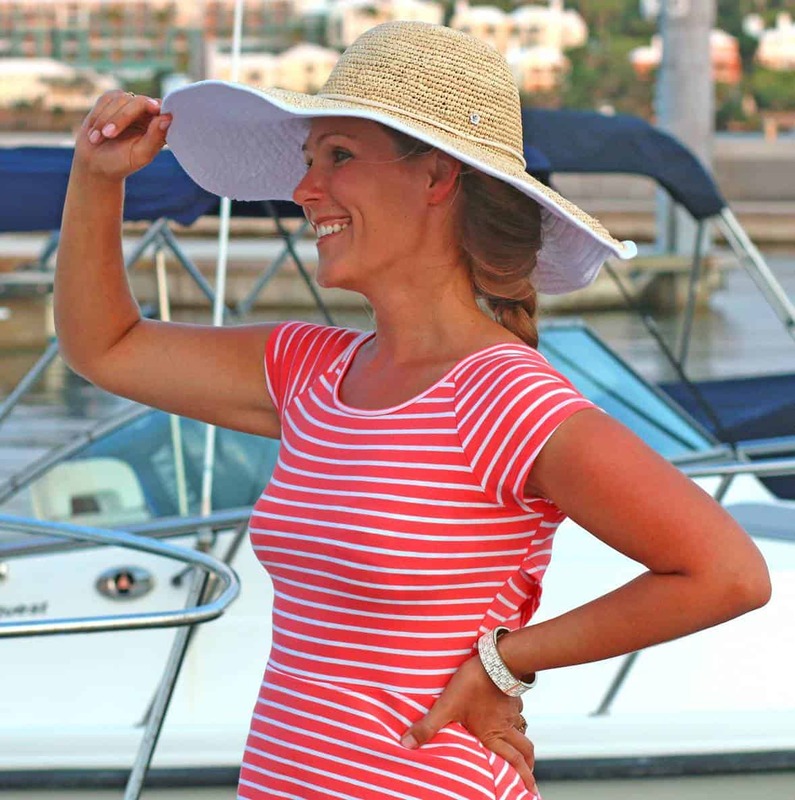 PS…I DO love your blogs and recipes and already follow you on FB (as Sue Lily) and Pinterest (as Mary Feltman)! I would LOVE to try this pasta. 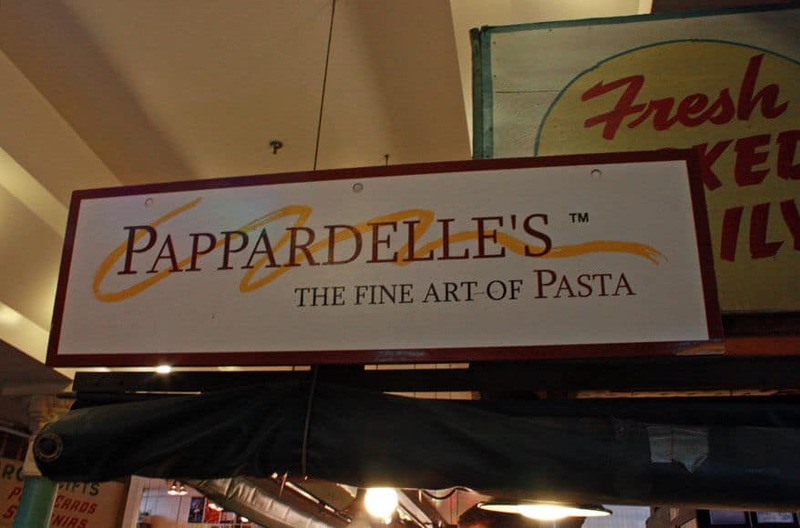 I had no idea about Papparadelles and can’t wait to investigate! I am a mushroom lover so this pasta especially appeals to me. 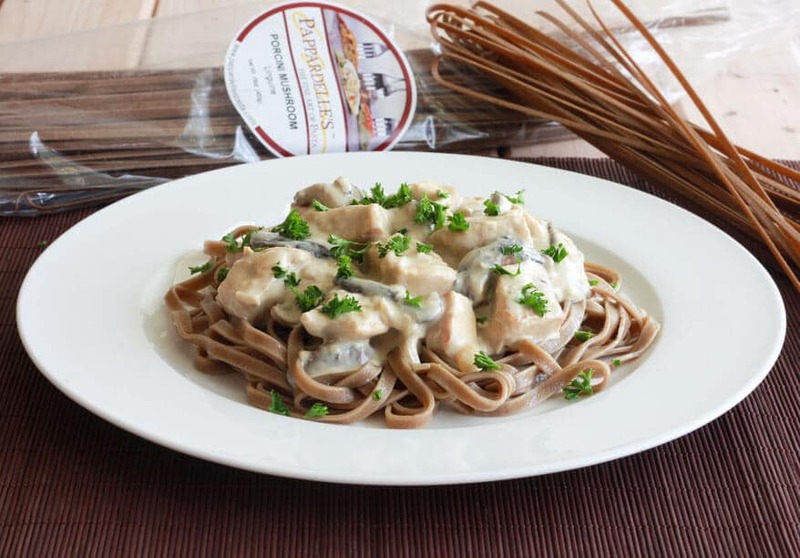 I have always just bought regular pasta, but the porcini mushroom pasta sounds intriguing because I really like the porcini flavor. Not sure my husband would go for this recipe, but it sounds wonderful to me. However, for the eating plan we are on, I would substitute evaporated milk for the cream or half & half, because of how it would change the calories and the nutritional profile. I’d love to enter the giveaway. I’m also a follower of yours on facebook. Love your site! 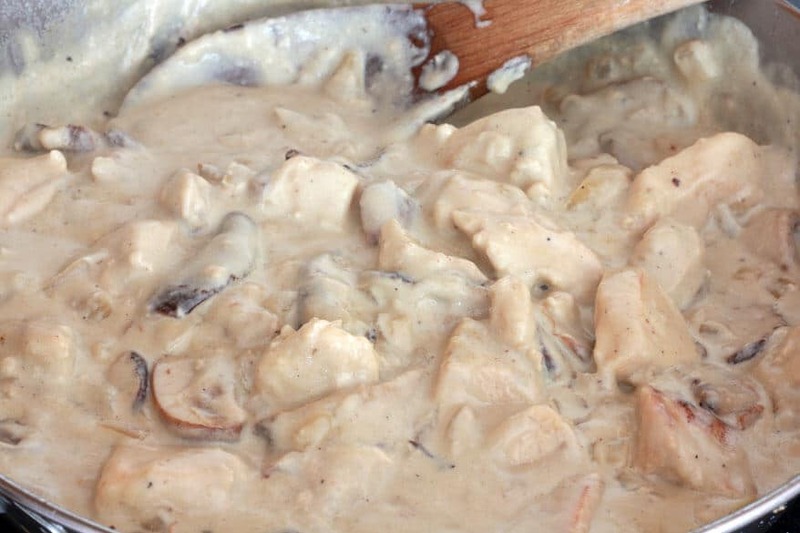 Your recipe make me want to lick the computer screen … and I love mushrooms!! I’m dying to try this pasta because…mushrooms changed my life. Just kidding. But seriously. I thought I hated them until I studied abroad in France. My first night with my host family and what was on the menu: An enormous mushroom salad. I took one bite from politeness/fear and…I’ve never looked back! I seriously cannot get enough and now I’m dying to try this recipe! I am a huge fan of flavored pasta ! 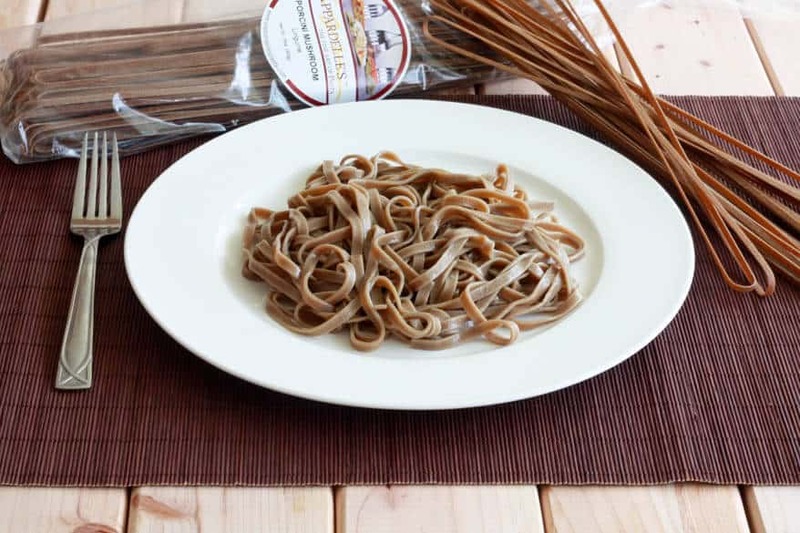 Mushroom pasta sounds very earthy and delicious. YUM! By the way, your pasta dish looks fantastic! Real flavored restaurant quality pasta!? Why wouldn’t I want to try it? checking out their website now! Their selection is seriously jaw-dropping. I want to try all of them!! Chicken, mushroom and cheeses on a flavorFULL pasta. Can’t imagine anything better. My like on Facebook makes 433! looks easy to make..cant wait to try it out… but its hard to find gorgonzola here…. I just made this. Seriously so good! Thanks!! My husband doesn’t care for strong tasting blue cheeses. Can you recommend one that fairly mild? This recipe looks absolutely fabulous!! I can’t wait to try it and so many of the other recipes that you post! New avid follower! Lin.. Thank, Lin, we’re thrilled to have you on board! :) Gorgonzola and Danish Blue are both the mildest blue cheeses and either of those will be great in this dish.